We traveled to New Zealand to source some of the finest wool in the world directly from Forest Range, a five-generation family-owned farm. A family that has been refining the sheep farming process to create some of the finest wool in the world for five-generations. Russell, Jeanette, and their son David are the only full-time workers on Forest Range. Forest Range covers an area of 18,500 hectares, over one hectare for every sheep. The cold winters, temperate summers, clean air, and pristine water is the perfect habitat for sheep to thrive in. 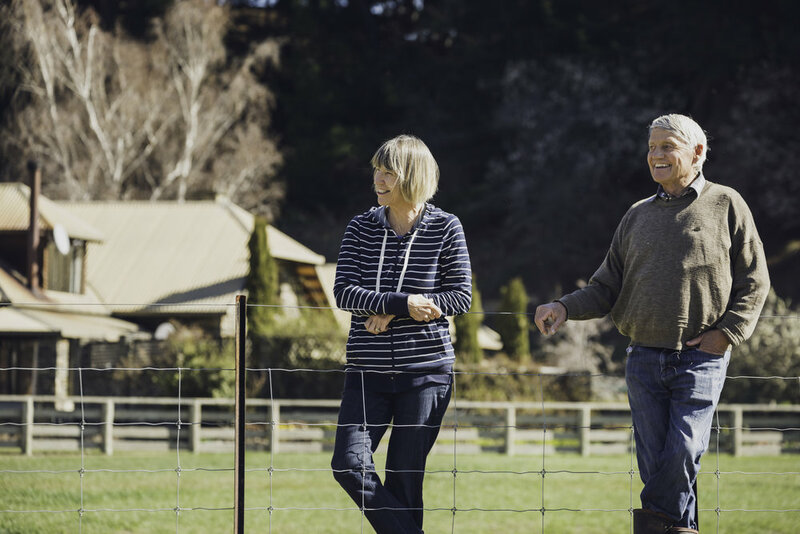 It starts from each generation choosing to only breed the best merino sheep with the finest fibers. The Ultrafine Lindis Wool we use comes from the first fleece of a one-year-old sheep (hogget). The Emmersons rotate their sheep between paddocks to allow the grass to regrow. Due to the ideal climate, Forest Range doesn't use a common practice in sheep farming called mulesing: A procedure that removes strips of skin around the buttocks of a sheep to prevent parasitic infestation. Ultrafine Lindis Wool is finer than most cashmere and measures only 13.5 microns in diameter. It‘s one of the most luxurious and rarest fibers in the world with an output less than 0.01% of global wool production.